Quite by accident today, I discovered (not in the explorer sense) the islands of the Key West National Wildlife Refuge. 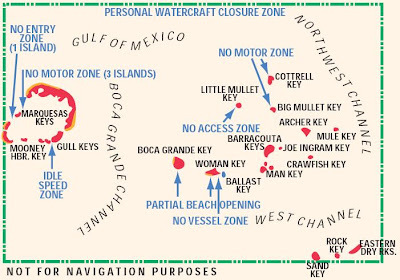 They lie 10-20 miles west of Key West, between Key West and the Dry Tortugas, and incorporate the Marquesas Keys, Gull Keys, and a dozen other smaller keys, all in the Gulf of Mexico. The refuge was established in 1908 to provide a preserve and breeding ground for native birds and other wildlife as well as to provide habitat and protection for endangered and threatened fish, wildlife, plants and migratory birds. 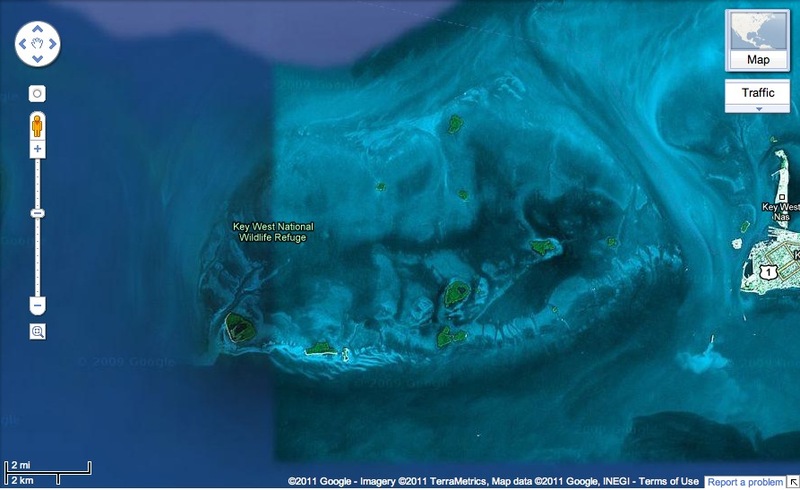 What caught my attention was a satellite view of the NWR keys showing underwater features surrounding them. I presume that the features shown include elements of the reef. 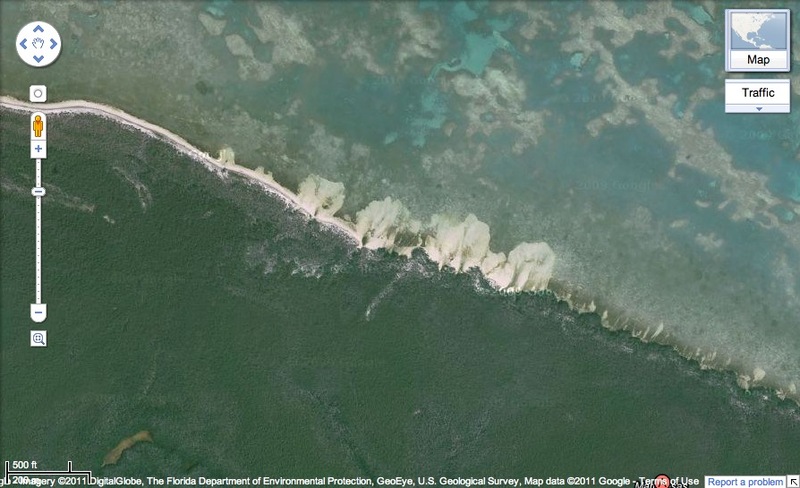 I hadn't ever noticed that level of detail in Google Maps when I looked at the Gulf before. Coming in a little closer, there's a nice little harbor, Mooney Harbor, in the Marquesas portion. It looks like it is possible to enter the harbor on a small boat (See the map above). No doubt, there are rules that govern access to that area. One final zoom makes these odd features visible on the north side of the Marquesas. They could be clouds, but the way that they cling to the shore, and similar smaller features to the east make me think that they could be sand, or maybe surf. 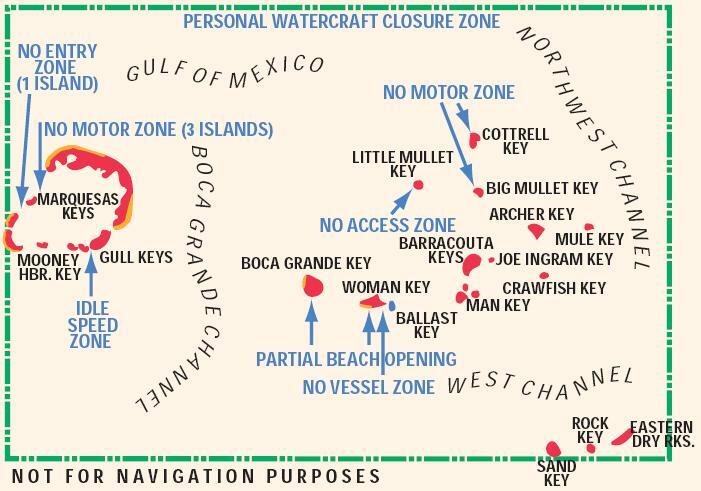 I'll put a trip out there on my Real Key West bucket list. Maybe for when Lee and Betty get here and get a boat. Yay, you are blogging again! Glad to see you back at it. Yeah Bob, there is room for a boat to get into Mooney Harbor...I've done it on a 35' boat once - on the right tide and with plenty of light. In the Marquesas there is a beach on the western edge - and a few other sandy spots on the northwest side. most place are too shallow to approach though. But you are seeing beaches in those images. It is a beautiful place out there - 20 miles west of Key West.